We’ve all heard the saying, “the customer is always right”. Any of you out there who have the joy of working with customers/clients also knows this is not exactly the truth. (Sometimes it’s an outright lie.) In fact, the spirit of the statement is not that your customer is right – it’s that you should take the time to keep your customer happy so that they *feel* like they’re always right. Why let them think they’re right? In the creative world coming up with a layout or design that showcases your clients ideas or product is a difficult task. Let’s say it’s a new website in which displaying various specials will be an important feature. Naturally your client will want to give you some ideas. But what if their idea is to have blinking words that scroll across the website to grab your attention for the latest special? And every other letter is a different blinking color? This is not the best idea. The customer is not right. Keeping the lines of communication open is very important. The smallest client wants to feel like they can reach you even if you have hundreds of clients under your belt. Not responding to emails for days at a time or taking the time to return a call can damage the client relationship. If you really don’t have the time to call them back, sending a short email letting the client know you’ve got the message gives them piece of mind. You could go the extra mile and give them a colleague’s contact info if they need help right away. Sometimes projects can drag on and on and on. We send a design to a client and wait for feed back. However, the client is busy running a business and maybe responding with comments about a design isn’t a top priority. So we wait. And then it’s four or five days later, by the time we hear anything back. This may not seem like a long time but if it happens several times through the course of the project, this can add up to weeks of delays. Great customer service can help in this situation. Sending daily emails can start to get annoying so instead try following up maybe 2 times a week. If the emails aren’t getting through, sometimes a friendly phone call can get the ball moving again. Reminding the client that delays on their end start to delay the entire project can help them get refocused and excited to see the final project. Keeping your client informed, making them feel important, and keeping them on track for the project equals a happy client. Happy clients tell their associates about your great service which equals more business opportunities. 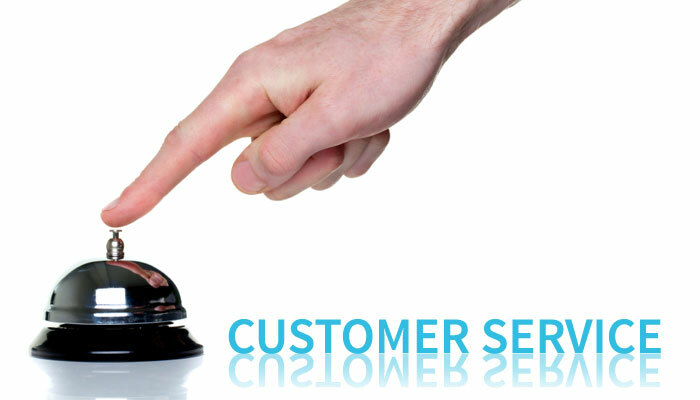 With great customer service everybody wins.